Thank you for being my best friend for so many years. You were with me for first dates, hot nights, job interviews, ice-skating in central park, sunning myself on warm beaches, and sustaining me on hideous international flights when I couldn’t escape the smoking section of the plane. Boy howdy, you sure helped me with that, crushing your sweet molecules into the Chanel or Hermes scarf I’d hold up to my face. You embraced me with your feminine grace during heart-crushing breakups, you put a confident spring in my high-heeled step during blossoming romances, and you sat with a cup of tea with me to think it all over. You’ve been my dear & admired friend since I was a young teenager, and even now, as a mom with five children, you’re there for me. But we don’t need each other like we once did, do we? I’m seeking out new horizons, and we both know that you’re perfect just the way you are. I’ll never stop loving and respecting you, and you’re self-confident enough to know that some day I’ll be back. You don’t hold a grudge because you’re always a cool girl in the inner circle of the in-crowd. I love you, Chanel #5. Don’t ever lose touch, ok? Spirit Beauty Lounge features this facial oil as a ‘glow-getter’ leaving only a glowy, not greasy sheen. Plus, it is scented with Vanilla! How delicious. I already love RMS Beauty Lip & Skin Balm in Vanilla so much because the scent stays true but when I heard that the oil is scented like one too, I could not help but get excited. 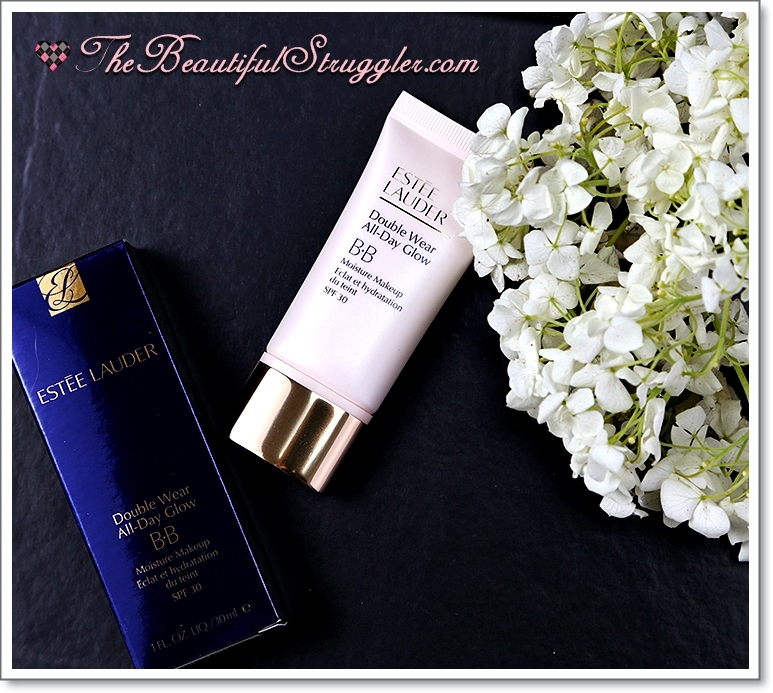 I have been using it for about two months, and really notice the difference in my skin. Packaged in a minimalist white carton box, you really can tell that it is a RMS Beauty product. All the ingredients and description is listed on the box, the bottle is left clean. The dropper is different with the Kahuna’s dropper, I actually prefer this one more since it gives a more accurate drop. On the box it advises you to use this oil twice everyday 2-4 drops, with morning to follow up with the “Un” Cover-Up (optional). 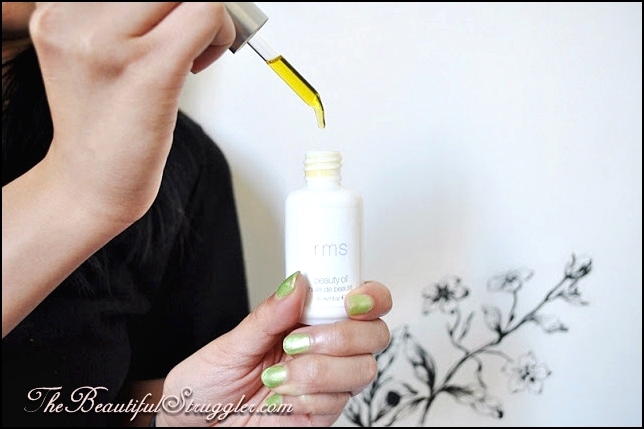 This RMS Beauty oil is a serious glow-getter. 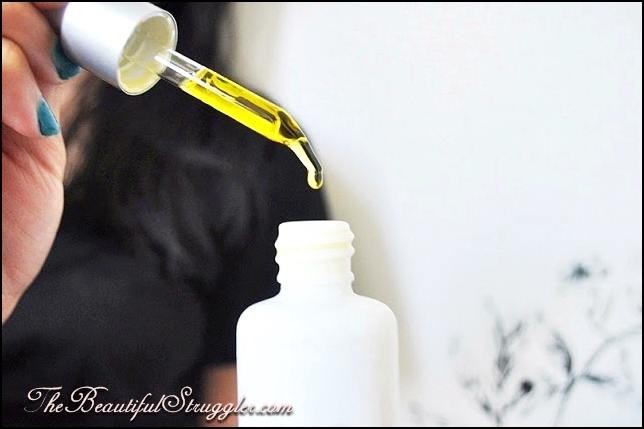 I am surprised that this oil has a heavy texture, very different with facial oils I have used in the past. As soon as the oil applied and massaged onto the skin, it just feels so nice, almost silky. The smell is very interesting not something that I usually come to like, but it grows on me. Yes, definitely vanilla, but since this is a combination of oils you still can smell the ‘oil’ scent. The ingredients are incredible! I am glad that RMS uses rare herbs such as Tamanu oil beneficial as a barrier from environmental stressors and Buriti oil as the highest source of Vitamin A of any oil. Herbal combinations like Sarsaparilla Calendula, Turmeric, Ashwagandha, St. John’s Wort and Horsetail are incorporated to balance the skin as they are adaptonic. The way that it has been formulated sounds a bit similar to Dr. Alkaitis Nourishing Oil, but I love RMS one more since it eliminates the essential oils that I suspect I was sensitive to in the Dr. Alkaitis one. I recommend it for all skin types except dehydrated or very dry skin as I find that this won’t be moisturising enough. On dryer days, I usually top this off with my Vive Sana sunscreen add more moisture to the skin and ‘seal it off’. I have not found a beauty oil that moisturises my skin quite like it, it is deeply penetrating. It sinks in right at the very second despite it having a heavy texture. I also notice that I get less breakouts, and haven’t had whiteheads for awhile. I trust Rose-Marie in creating products that make you look like you have a healthy glow! Therefore, I am super happy to find out that this one does not only beautify but is also healing. Plus, there is no essential oil added, so sensitive skin type, don’t be afraid to try this out! I have combination skin, dry cheeks and oily T-zone. I have light skin with neutral (pink and yellow) undertones and suffer from acne in my T-zone. I normally wear concealer and Double Wear Light (shade 2) or Elizabeth Arden Pure Finish Mineral Powder. This has a satin/semi-matte finish similar to Double Wear Light but with a slightly lighter texture and definitely more “glow” thanks to the additional moisture. 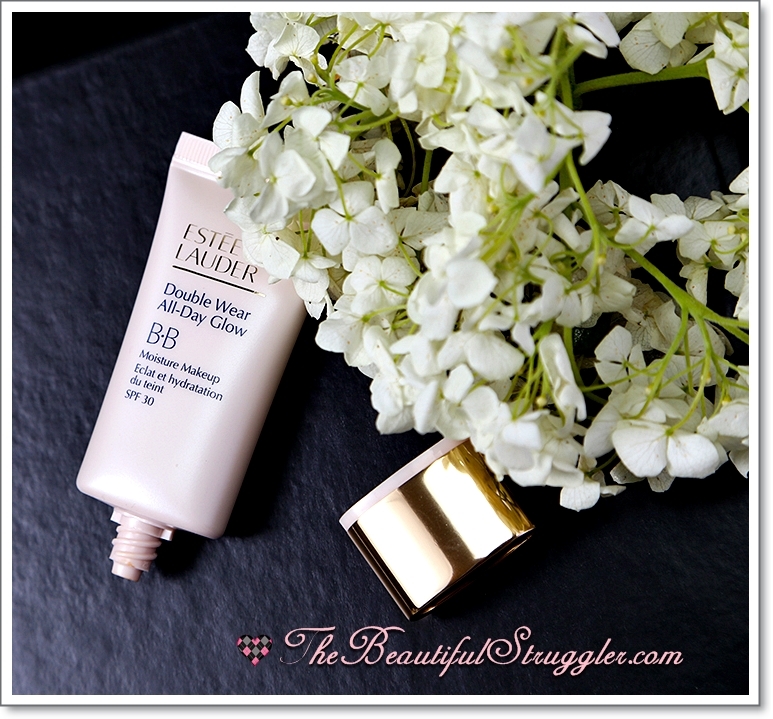 I wear the Idealist Even Skintone Illuminator under this BB which I find acts as a great primer as well. This cream works better with a brush or beauty blender application. When I tried applying it with my fingers it was harder to apply and blend. Less is more, if you need extra coverage just apply some extra (thin) layers to problem spots but do not apply thick layers or it will definitely cake up. I apply one full layer with a brush then stipple it with my beauty blender sponge. I then reapply two further layers to my acne prone chin to add coverage there. I set it with a powder in my T-zone or just spray a hydrating mist on top and so far I would say I get 8-10 hours of fresh looking coverage. It will come off a little bit throughout the day but most of it stays put and does not oxidise or look patchy. As it settles into the skin it actually looks better, more natural, although this might not be a very good thing for people with deeper lines/wrinkles. I am 27 with very few fine lines so this works fine for me. Expensive for a BB but since it can be worn as a medium coverage foundation and I only need a pea sized ball of it to cover my whole face it is worth every penny. 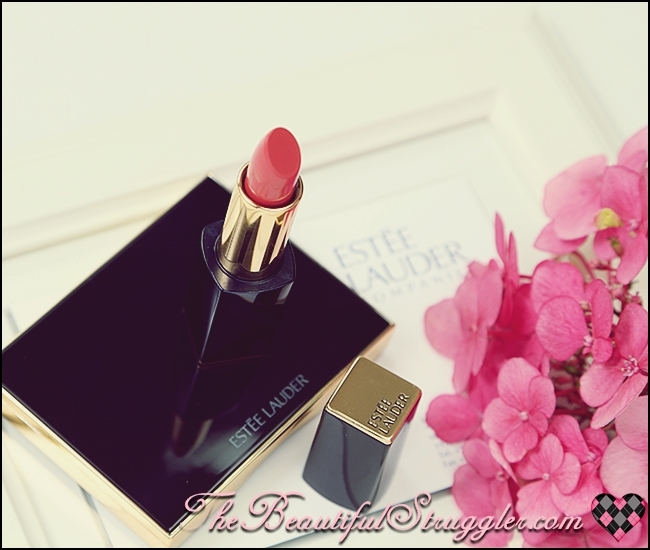 Go to your local Estee Lauder counter and get them to apply it for you then wear it for a day to see how it works for you before you buy it. Yes the shades are limited but there are definitely more shades than most BB creams allow for and the shades are neutral so they will work for most people. If you have really light skin then just mix shade 1 with your moisturiser to lighten it up. Overall I definitely recommend this over other BB creams unless you are after a lighter coverage or have very oily skin and need a dryer base. Eau Delice starts off very musky and fruity at the same time, but it’s one of the few perfumes I’ve tried that doesn’t have that harsh chemical note if you sniff it right after spraying. Eau Delice just becomes delicious right away. The orange and cranberry notes are the most prominent as first, I usually think that orange in perfume is harsh, but in Eau Delice, the orange note is combined with the other fruity notes which makes it tamer. At about the 10 minute mark, the floral notes took over. I’m a huge fan of Ylang-ylang and jasmine in general, and those notes are so well represented in Eau Delice. The fruity notes are still there, but now the perfume has transitioned into another stage, this one more fresh. At the 15th minute, the musk and vanilla appear, I hardly detect the cedar in this at all. 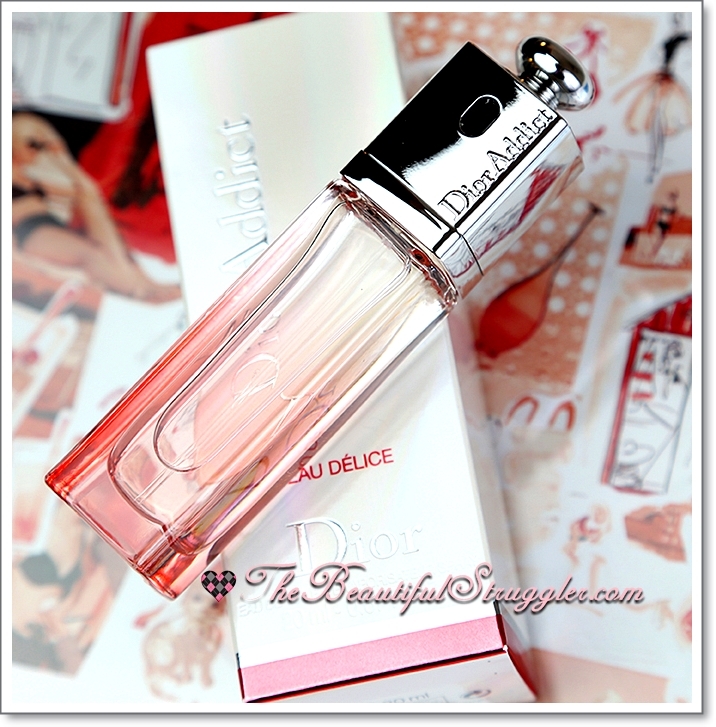 Eau Delice on my skin lasts about 6-7 hours, which is pretty great for an EDT. I think this perfume is perfect for everyday occasions in all seasons, it’s floral and fruity but with a a lot of depth from the woody notes. 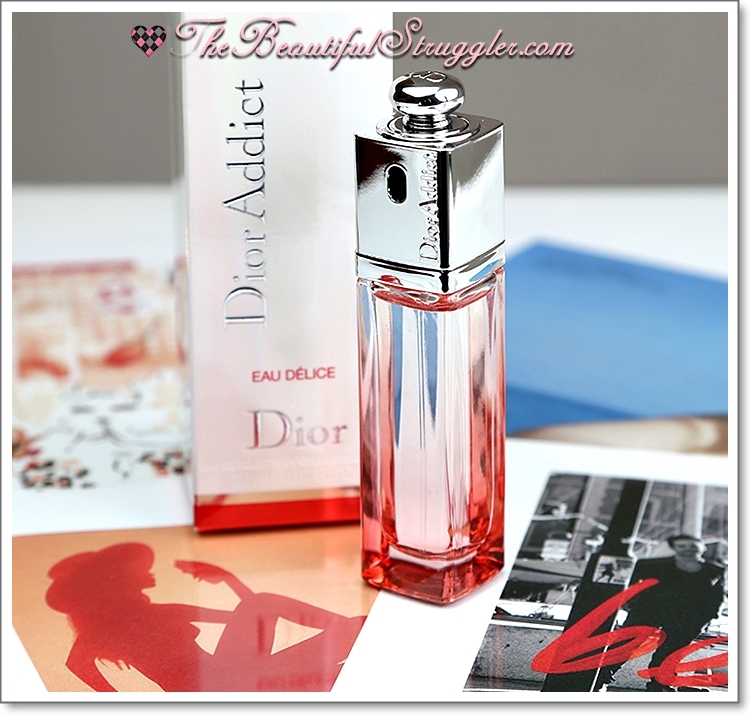 It’s a shame it’s been discontinued by Dior though, when this came out I thought that it would be a permanent addition since it’s really great. I got the duo Shock and Golden Shock to show you, a very classic winning combo! Shock 762 is a bright cherry red shade. It leans slightly warm and has a glossy finish. It might not be one of the most unique shades out there, but it’s a shade that looks good on anyone and a classic. Shock looks perfect with two coats and has a flawless formula. 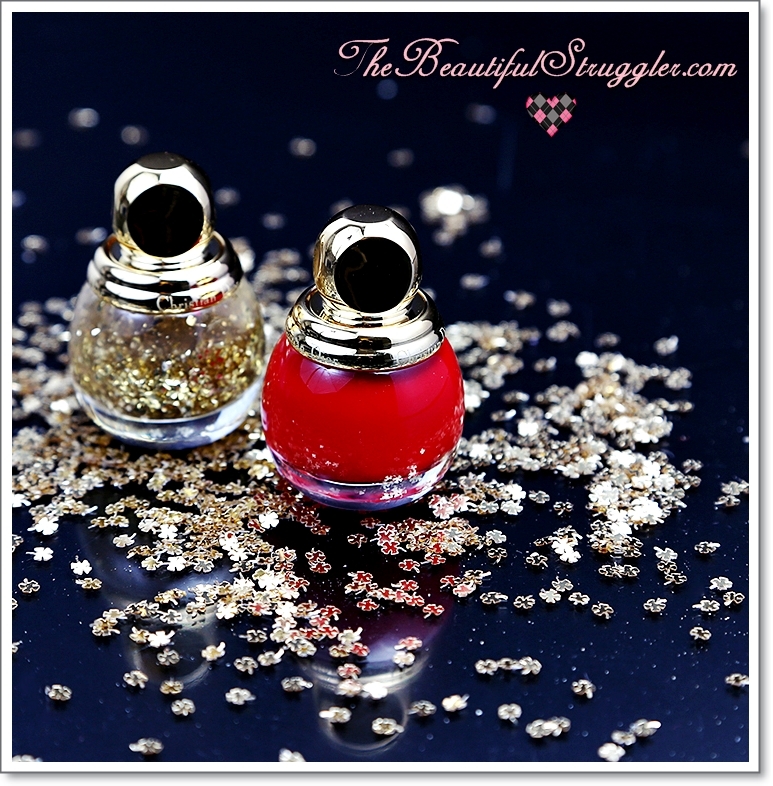 Golden Shock 001 is the topcoat that goes with almost any shade. It has a transparent base and is loaded with golden flecks in variable sizes. It’s very easy in use, and quite foolproof. My favourite way to use this duo is having the base colour on all nails with the topcoat on just one nail for a festive yet elegant touch. 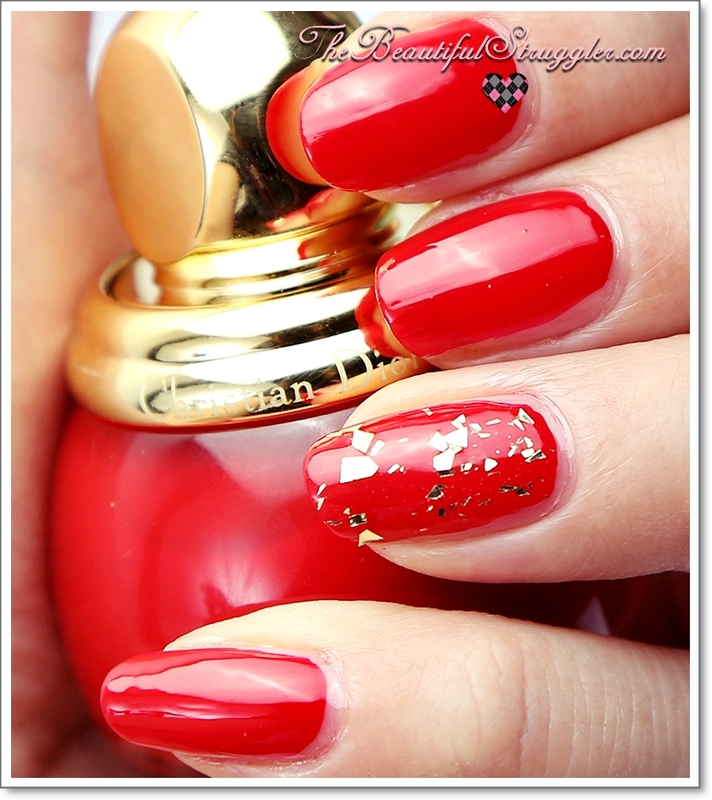 A must-try is using the topcoat over a darker base, something like Dior Smoky 990 for a more dramatic effect! Glamorous! I like the original Dahlia Noir (although I’m not crazy about it), but this is a million times better! 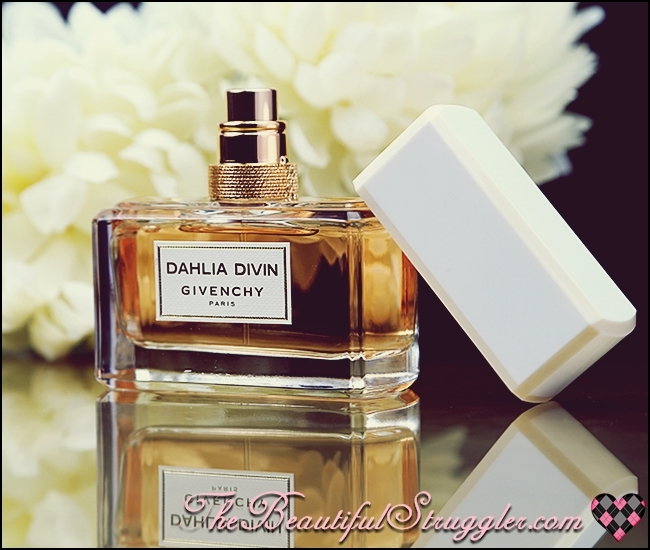 The two have almost nothing in common, and Dahlia Divin feels a lot more like an entirely new fragrance, rather than a continuation of an existing perfume line. It offers an entirely new palette of accords; it’s beautiful, sparkling and really elegant – I approached it with a cautious mind, thinking it’d be just another flanker, but it really blew me away! This beautiful chypre floral is very different from the usual mainstream jasmine-based scents. The jasmine here is very delicate, soft and creamy, with a slightly balsamic, oriental feel to it. It’s not heady and overwhelming, so it’s worth giving this fragrance a shot even if you don’t normally enjoy jasmine in perfumes. Accompanying jasmine is the well-balanced duo of plum and patchouli, which rings somewhat familiar of that in Givenchy’s Very Irresistible L’Intense. Dahlia Divin however is a much gentler, more subtle fragrance – the patchouli here isn’t sharp, but quite tame; full of sweet, earthy warmth. The plum is rich, juicy and delicious, and smells incredibly realistic. It really brightens up the overall composition, giving it a lovely, youthful vibe. This fragrance is worlds apart from the original Dahlia Noir, which was a very powdery, rose-based fragrance with a spicy pink pepper note. 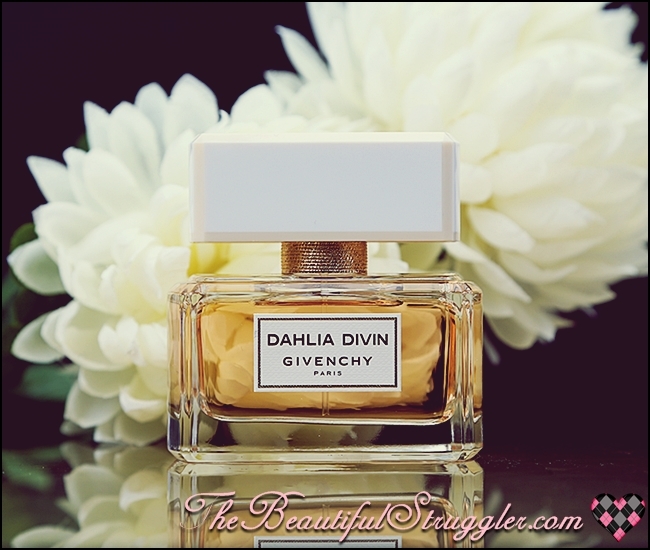 Dahlia Divin is elegant, unusual, glamorous, and completely not what I expected (in a good way!) 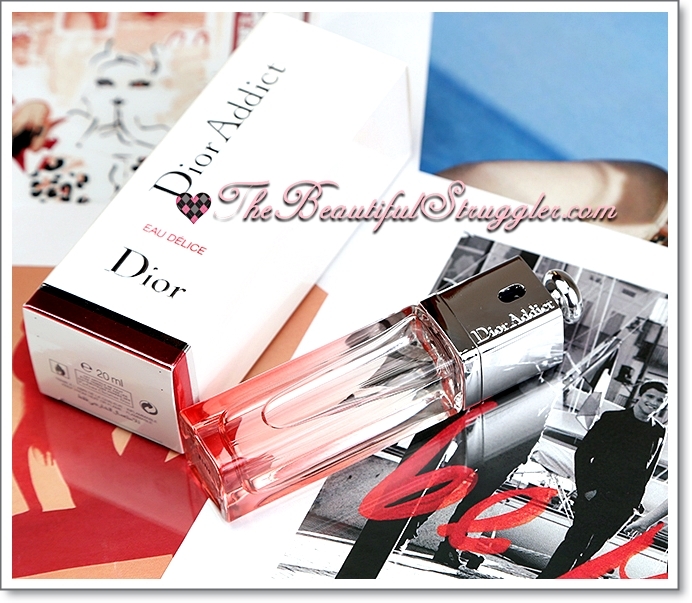 This will be lovely for anyone who enjoys scents such as Chanel Allure, or L’Instant de Guerlain. 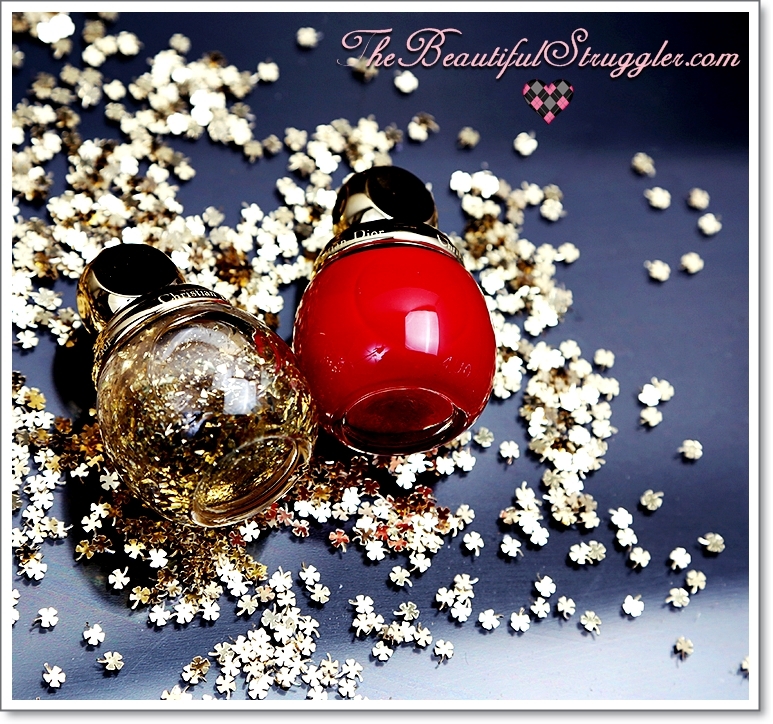 I am really pleased with this perfume! So, the biggest ‘con’ to this product is that it’s not long wearing… and I don’t even mean this in the traditional sense of creamy lipsticks where it transfers when you eat or drink. Even if you do neither of those activities this lipstick still finds a way to disappear off your lips. It’s bizarre. It’s very, very short wearing. The pro’s to this are that it’s absolutely luxurious in its wear and application, and the colours are so rich and bold that you can’t help but feel a bit like royalty. 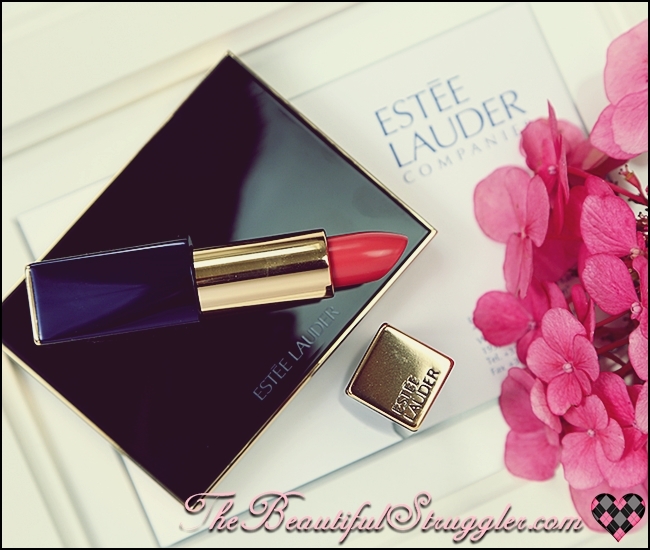 The formulation is similar to Tom Ford Lippies. I’m a little sad that it doesn’t last a bit longer. I don’t expect creamier lipsticks with a bit of sheen to last all day, but colour shouldn’t just disappear if I’m not drinking or eating, either. That said, IF you’re the kind of person that doesn’t mind reapplying every couple hours, you would do yourself a massive favour by checking out these lipsticks. They’re incredible otherwise.